1. I know he says he doesn't look back, but I'm guessing that Bill O'Brien would love to have his handling of the QB situation back. Hell, he'd probably like to have it back all the way back to the signing of Ryan Mallett. 2. This team will be hideous to watch run the ball without Arian Foster. 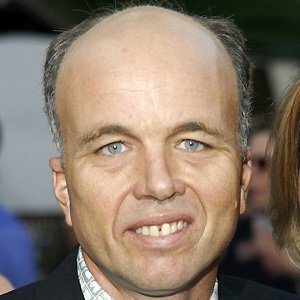 Like Clint Howard-level ugly. More on this in a moment. 3. After Sunday's 20-6 win over the Tennessee Titans, we can definitively say that the Texans are, for now, better than the worst of the worst in the NFL. They're certainly better than the Titans and the Niners, probably better than the Lions, and good enough to have beaten the Bucs and the Jags. After that, all bets are off. This would be a lost season, except for the fact that three of the other bottom ten teams in the league are in the Texans' division. So let's hear it for geography! Now, let's break down yesterday's win over the Titans…. For the second time in the last month, we saw Jadeveon Clowney sustain an injury that has nothing to do with his surgically repaired right knee, but was bad enough to force him off the field. This time, the second year linebacker took a hit to the back, went to the locker room for medical attention, returned to the game, and then took another shot and was done for the day. Oddly enough, for the second time in three games, Whitney Mercilus played the best football of his career with Clowney sidelined. Playing on his more familiar weak side, Mercilus had 3.5 sacks on an array of moves and stunts that had him looking like, y'know, a FORMER FIRST ROUND PICK. Hey, speaking of big games…. J.J. Watt was not happy this week. He doesn't like hearing about how he's having a down season. He also doesn't like losing. (On the other hand, he does love those Greek yogurt thingies from H-E-B! THEY COME IN SO MANY FLAVORS, SCOTT!!) J.J. has a point, we all may be stupid. Check the numbers, courtesy of Brian T. Smith of the Houston Chronicle…. Eight games into the 2015 campaign: 40 tackles, 8.5 sacks, 25 QB hits, 15 tackles for loss, one forced fumble, five pass deflections. This just in — J.J. Watt is still good at football. Forever, the existence of the trade deadline was an annual talking point (and a quasi-flea market) in baseball and basketball, but in the NFL, it had always been an afterthought. For whatever reason, this season there is far more chatter around the NFL that flailing teams may dump high priced players for draft picks. Matt Forte, Martellus Bennett, and Vernon Davis have been among the names mentioned. For the first time, on Sunday morning, Brian Cushing's name was thrown into the mix by CBS's Jason La Canfora. I have a hard time seeing the Texans trading Cushing before Tuesday's deadline, mostly because it would amount to a "white flag" while the team's chances of winning the division are still very much alive, oddly enough, at 3-5. Six tackles, two tackles for loss, and his first career interception. I'll go ahead and say it — Kevin Johnson is the best defensive back on the Houston Texans. Conversely…. …..Rahim Moore might be the team's worst defensive back, which is crazy to say when you consider he (along with Vince Wilfork) was their primary offseason free agency acquisition, and really the only sign that they sought to address safety as a position. Everything else at safety was and is street free agent slugs, fringe roster guys, and converted cornerbacks. Well, Moore finally hit rock bottom on Sunday, going from starting against Miami to a healthy scratch on Sunday. Another bad look for the personnel department. Punters tackling is always fun, but this was next level…. After the bye week, in their first five games, the Texans face the Bengals, Jets, Saints, Bills, and Patriots. I honestly don't know what this team is going to do about running the football when they go up against that string of opponents. The Titans have the 30th ranked run defense according to Football Outsiders. The Texans rushed for 56 yards on 23 carries in Sunday. Alfred Blue, Chris Polk, Jonathan Grimes….the Texans have nothing, really, int he way of answers. What some people call "big and strong armed," I call "statue readily available for target practice". And to think Mettenberger was actually demanding a trade when the Titans drafted Marcus Mariota.